Omar Badsha is a self-taught artist who first received mentorship from his father, who was also an artist and a commercial photographer. His career dates from the early 1960s when he was part of a generation of artist-activists of the immediate post-Sharpeville era. His early work consisted of drawing and woodcuts. He was influenced on one hand by his father’s interest in Arabic calligraphy, and on the other by the work of Cecil Skotnes (qv.) and later, by Dumile Feni (qv.). Badsha was a full-time artist from about 1966 to 1972, after which he became involved as a leader in the revival of the trade union movement and the Natal Indian Congress. Thereafter he became well-known as an accomplished photographer. In 1976 he turned to photography as a teaching tool for worker education programmes, and by the early 1980s he had established himself as one of South Africa’s leading documentary photographers. 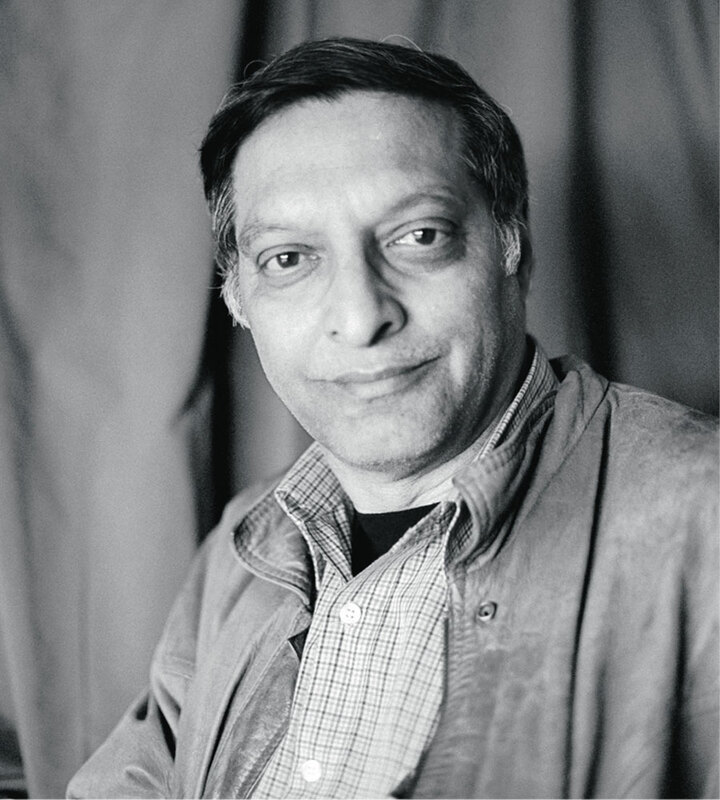 Badsha was one of the founders of the activist photographers’ collective Afrapix, and was instrumental in establishing a centre for documentary photography at UCT. He has curated a number of exhibitions and is the author of a number of photographic books. The charcoal drawings Artist in the landscape series (plates 152–155) were done in the mid-1960s at a time when Badsha and a small progressive group of artists like Dumile Feni (qv.) were grappling with the interacting issues of politics, confinement, alienation, anger and identity. Badsha’s formalist interior landscapes suggest confined spaces that act as an abstract metaphor for detentions and banning orders. The artist himself becomes an equivalent of the activist and the intellectual. Seen now in retrospect, such images have become strikingly redolent of the harshness of the South African situation after the Sharpeville massacre in 1960. The series represents an early manifestation of the notion of the artist as a cultural worker and of the potential of art as a cultural weapon. They are some of the earliest examples of ‘protest art’ produced at the time and should be viewed in the context of work done by visual artists like Dumile Feni (qv. ), Ezrom Legae (qv. ), Paul Stopforth and Harold Strachan. This series of four drawings once belonged to the collection of Badsha’s associate, Dumile Feni, who took them with him into exile. They were later purchased in London as part of a portfolio of drawings belonging to Dumile Feni and were recently identified as the work of Badsha when his signature was discovered on them. Born Durban, 1945. Training Self-taught as an artist. Exhibitions 1965: Art South Africa Today, Durban Art Gallery (Winner of the Sir Basil Sharnlon Award). 1970: First solo exhibition, Artists Gallery Cape Town. 2001: Narratives, Rituals and Graven Images: A Retrospective, Iziko South African National Gallery, Cape Town. 2002: Amulets and Dreams, with Guy Tillim, Durban Art Gallery. Collections Iziko South African National Gallery, Cape Town; Durban Art Gallery; Killie Campbell Collections, Durban; National Gallery of Botswana; University of Cape Town. Photographic publications Letter to Farzana (1979); Imijondolo (1985); South Africa: The Cordoned Heart (1985); Amulets and Dreams (2003); With our own Hands (2003); Imperial Ghetto (2004). Photograph of Omar Badsha. Source: Omar Badsha (ed.). 2002. Amulets and Dreams: war, youth & change in Africa. Published by SAHO in co-operation with Unisa Press and the Institute for Security Studies: Pretoria. Flyleaf illustration.